S & S Fence Co., Inc. Comment: we currently have 29 year old wood fencing that is falling down and needs to be replaced. We are considering white vinyl fencing, if not cost prohibitive, for at least part of the project. We need an estimate for the part vinyl/part wood, and all vinyl, or all wood, for planning purposes. We would like to do the project sooner rather than later, but cost is a factor. Comment: Wanting to replace the fencing around our house approx 200ft total. Would like a nice wood privacy fence and solid gate to replace current chain link and picket. Comment: I need to replace my perimeter fence in the Heritage Park neighborhood. The fences all have the same look and paint according to the CC&R's. 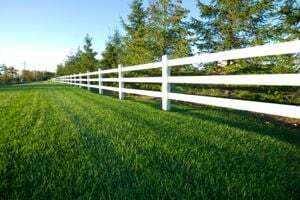 While the whole fence doesn't need replacement, we would like it replaced for consistency and to be able to tell future buyers the whole fence is new. Comment: I need a small amount of fence with a gate to hide garbage cans and gardening tools. 5 ft plus a narrow gate. Comment: The fence is old and routed out four sections need to be replaced in the back yard. Sacramento Fence Contractors are rated 4.84 out of 5 based on 820 reviews of 18 pros. Not Looking for Fences Contractors in Sacramento, CA?